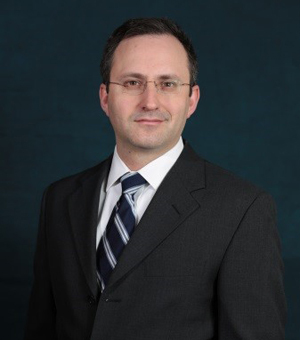 Daniel Tepper is a Partner at Wolf Haldenstein. He has extensive experience in complex commercial litigation, class actions and shareholder derivative suits. Mr. Tepper is a member of the Firm’s Investor Protection and Business Practice litigation groups, representing institutional and individual investors who suffered losses from corporate fraud. Investigates, initiates, and prosecutes securities class action and shareholder derivative suits throughout the United States. Represents individual and corporations clients in complex commercial matters. Advises clients on general securities matters, private placements, corporate and transactional matters, business law and corporate governance. Recovered hundreds of millions of dollars and obtained significant corporate governance reforms. Litigated Zelouf Int’l Corp. v. Zelouf, 45 Misc.3d 1205(A) (Sup.Ct. N.Y. Co., 2014), where he represented the plaintiff in an appraisal proceeding triggered by freeze-out merger of closely-held corporation. $10 million verdict after eleven day trial, rejecting discount for lack of marketability. Provided advice and counsel in Sacher v. Beacon Assocs. Mgmt. Corp., 114 A.D.3d 655 (2d Dep’t 2014), affirming denial of defendants’ motion to dismiss shareholder derivative suit by Madoff feeder fund against fund’s auditor for accounting malpractice. $2.5 million settlement. Represented client in In re Belzberg, 95 A.D.3d 713 (1st Dep’t 2012), compelling non-signatory to arbitrate brokerage agreement dispute arising under doctrine of direct benefits estoppel. Litigated Estate of DeLeo, File No. 353758/A, Dec. No. 27542 (Surrog. Ct., Nassau Co. 2011), restoring multi-million dollar family business to rightful owner. Full plaintiff’s verdict after seven day trial. Defended Board of Directors in CMIA Partners Equity Ltd. v. O’Neill, 2010 NY Slip Op 52068(U) (Sup. Ct. N.Y. Co., 2010), the first time a New York state court examined shareholder derivative suits under Cayman Islands law. Won dismissal on the pleadings. Prosecuted Hecht v. Andover Assocs. Mgmt. Corp., 27 Misc 3d 1202(A) (Sup. Ct. Nassau Co., 2010), aff’d, 114 A.D.3d 638 (2d Dep’t 2014), the first Madoff-related feeder fund case in the country to survive a motion to dismiss. Participated in $213 million global settlement.